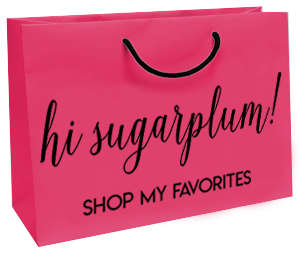 Melts My Butter VIII | hi Sugarplum! Hey, hey, hey — Happy Friday! It’s time for another round-up of What Really Melts My Butter (I’m Southern, it’s a requirement to use Steel Magnolia references whenever possible). The sweet Michelle at Ten June is now a mama!! Her baby is the yummiest, and he’s got the freshest nursery in town! This project has been everywhere…and for good reason. Emily at Recently rocked the socks off some cheap plastic tables with python fabric. This is so happening in my house! 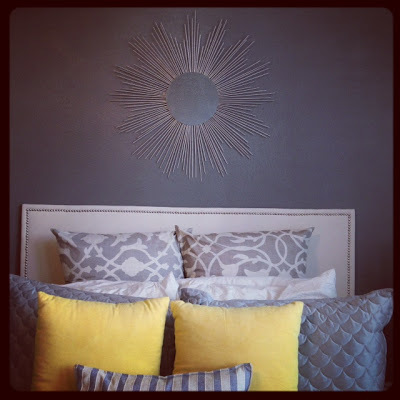 Check out this fabulous wall Dana created with molding and mirrors at Make Them Wonder. And you know I’m digging the orb chandelier! Well-designed Kids Rooms are always favorites for me. Probably because they are usually colorful, and don’t take themselves too seriously. Abby at A Delightful Design created her son’s new big boy room with so much style, yet the perfect amount of fun and whimsy. 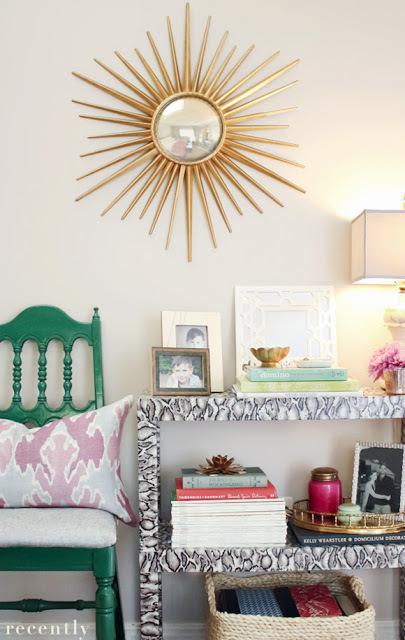 I’m a huge believer in giving kids a room as chic as the rest of the house. The secret’s out on The Container Store’s acrylic trays….and now Jenny at For Chic Sake helps us personalize them with her free printable inserts! I was introduced to Pinterest Told Me To just yesterday, and I’ve already read every single post Sheaffer’s written! 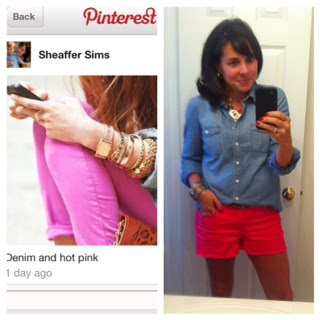 She takes inspiration from Pinterest, then creates an outfit using items already in her closet. 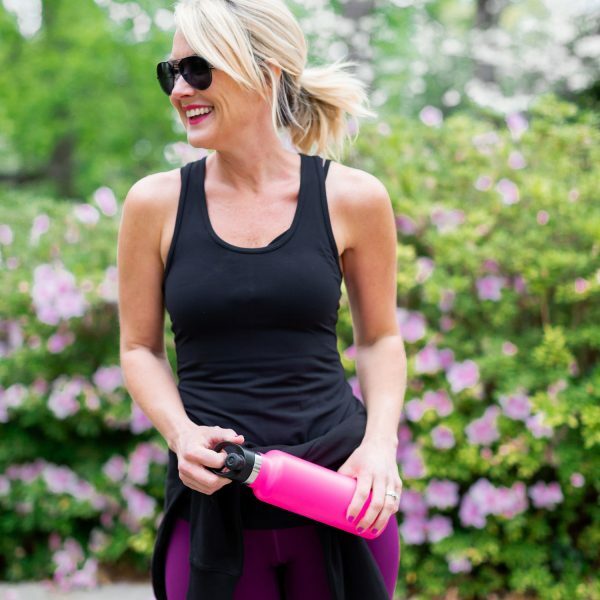 And she’s really fun to read…this post had me cracking up! We’ll forgive her for having skinny thighs. 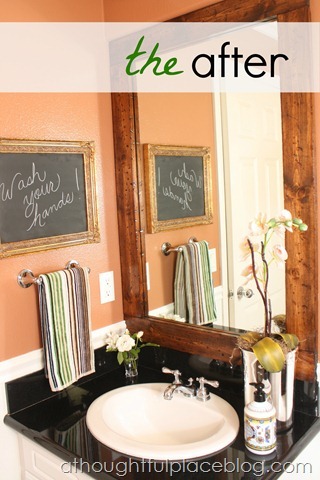 My girl Courtney used my tutorial for distressing wood, and framed out her builder-basic bathroom mirror. Genius!! 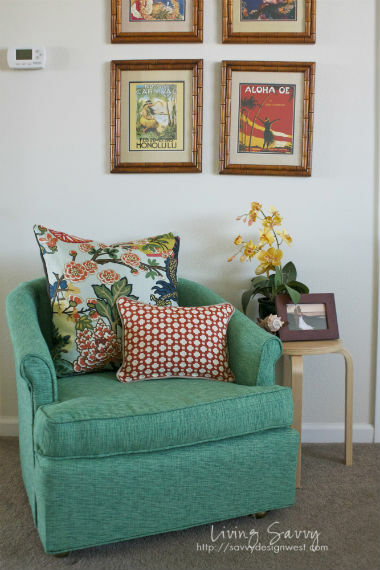 Check out A Thoughtful Place for how she did it, and the full Powder Room reveal! We always talk about the power of paint. But what about the power of fabric and drapes?! 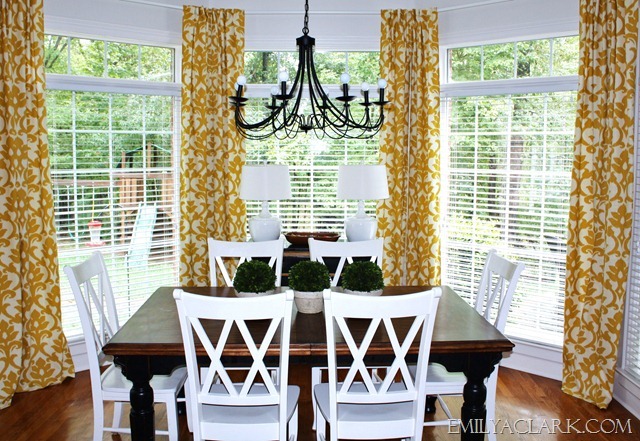 Emily A Clark’s new Breakfast Room is going to spark a new revolution of patterned drapes! What a seriously cheery place to start and end the day. Jamie Meares is magic. Or a wizard. Or quite possibly a sparkly vampire. Either way, she has super powers, I’m sure of it. Every single thing she posts, I need. Immediately. 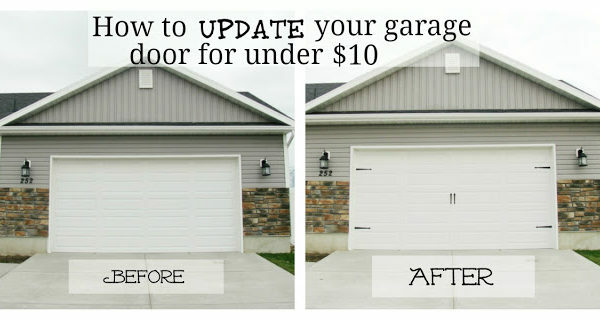 She just showed us her latest ‘quick, little makeover’ on I Suwannee, and it’s awesome. She probably did it in a weekend, too…where as I’ve been working on my Living Room for over a year! That’s what is Melting My Butter this Friday….what’s got you swooning lately? Happy weekend, lovebugs!  Thanks for all the awesome links! Now, I better go get a pumpkin spiced latte and settle in for a day of rainy day reading! Thanks! I feel a little better to hear that your living room has taken a year. I look at everything you and all the other fabulous decorators do in your houses and I am positively green with envy at your talent. Thanks a bunch for even more inspiration though. Cassie! Thank you so much for the sweet words about my blog and for pointing people in my direction! You're awesome! All of them are amazing, but I love that wall of molding and mirrors. Really dramatic! Aww, so happy to hear I melt your butter, Cassie. What a fun surprise to click on over and see this! Thanks, girl. Get me some toast quick, because my butter is melting too! 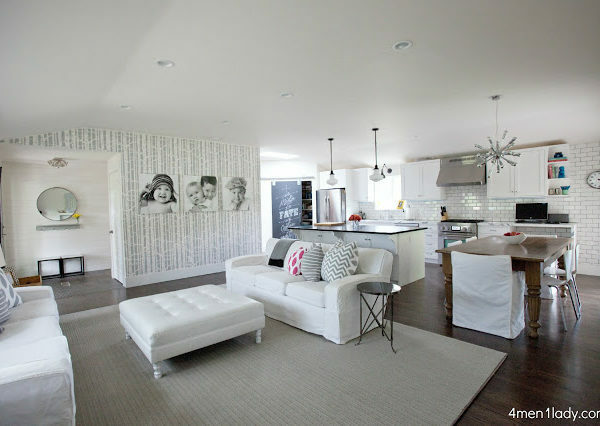 Those are some awesome looking spaces and ideas. Such great projects and so many I hadn't seen. Thanks for featuring our powder room sweet friend. Now I have other blogs to stalk. Awesome post. Love all these projects. A couple of new ones for me to visit! Ditto. My butter is melted, as well. Have seen lots of terrific before and afters, but that dining room is incredible. Great selection, Truvy. Such a small world! I was a Kappa with Emily from Recently! SO FUN to see her on here! SO many lovely spaces…thanks for sharing! 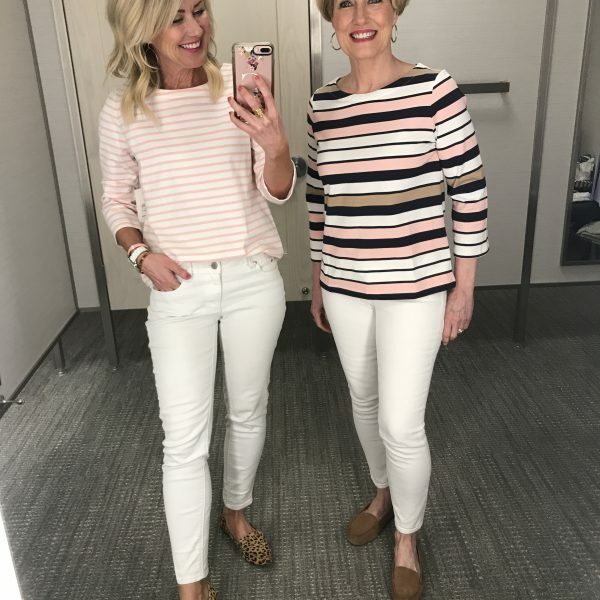 I love that wall of mirrors! Great round up, so many beautiful spaces! I'm loving that fabric wrapped table, what a great transformation!! Thanks for the recap!!! I am inlove with those wall of mirrors!!! Have to do it somewhere in my house! Have a great weekend! Great round up! I always love getting inspired from these posts. I die over that snakeskin table it actually makes me want to do a DIY. Have a great weekend sweets! Cassie! Thank you! 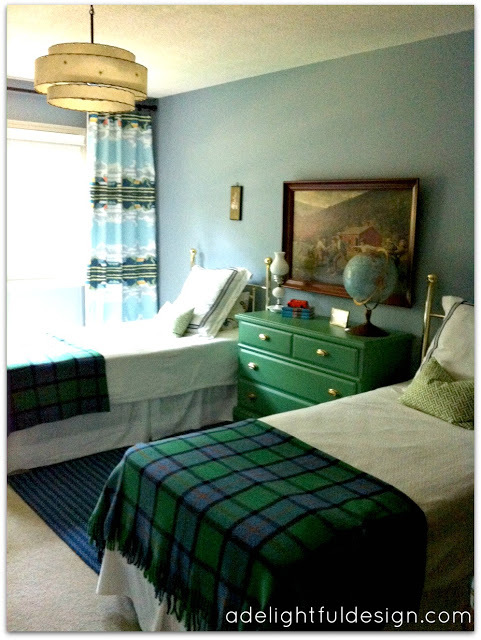 I can't believe it took me a few days to see this, but I am just gleeful that you would feature Holden's room. I admit, slightly mortified that the pictures are not better. I'm excited to check out the rest of the new-to-me blogs. Dana's wall of mirrors is a show stopper, and I am obsessed with Emily's snakeskin table. Yes, love the round up! Wow! I love them all but that molding and mirrored entry way? Holy moly that's amazing! Thank's so much for sharing such wonderful inspiration Cassie! 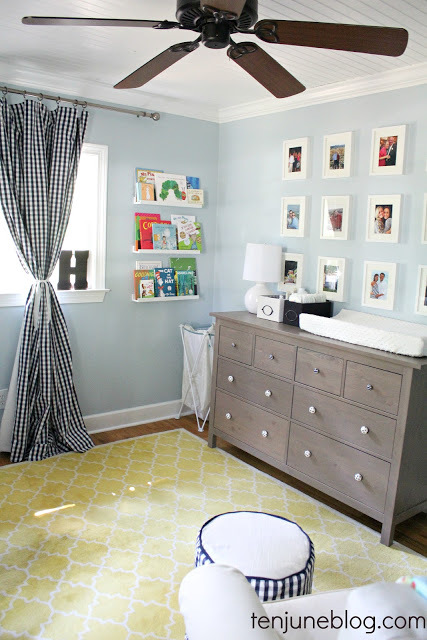 Thanks again for featuring little H-Dawg's nursery! 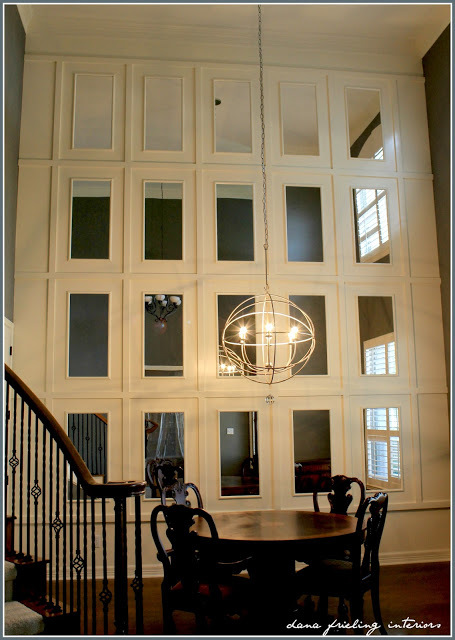 It was definitely a labor of love, so one of my favorite projects : ) All of these projects are amazing… hello, that mirror + molding wall? GENIUS! Pinning that now! fun fun fun – thanks for all the new blog crack!